Welcome to the Schraders in Berlin, Germany! 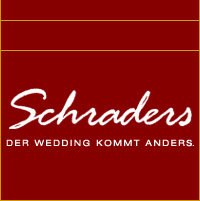 The Schraders is located in Berlin-Wedding in a lively, muliticultural neighbourhood of Berlin. Are you looking for the real "Berlin feeling"? Do you want to see how Berliners live? Are you fed up with all these tourist spots? Here you go...Dining out in Berlin. The Schraders is a Berlin-style restaurant, bar, cafe, lounge that meets all the needs for a nice evening out in Berlin. You find a very cozy atmosphere to enjoy your food and drinks for a relaxed dinner. Our menu combines an international crossover cuisine and Wedding famous burgers. Fine dining in a nice setting. To start with we recommend our famous tapas!! 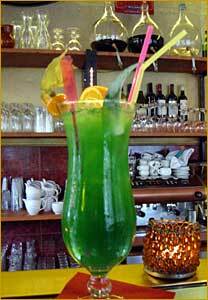 Enjoy a nice Berliner beer or one of the more than 100 cocktails. Taste delicious wines and fine coffee specialities and sample our homemade cakes. On Saturdays we have a splendid Mediterranean breakfast buffet and on Sunday you can try our Berlin famous brunch with cold and warm specialities from around the world. How do you get here? The nearest underground station is "Seestrasse", walk down "Amsterdamer Strasse" to a little square with trees and flowers. And this is where we are...welcome! We are monday to friday from 9.30 am and Saturday and Sunday from 10a.m.